Wildwood's Art Parties take place at restaurants, pubs and private homes. Guided painting parties are fun for family and friends or a girls' night out. These special occasions can be booked for your exclusive group function, a retreat or as a ticketed event at a local restaurant or pub. You will have lots of fun in a painting party. 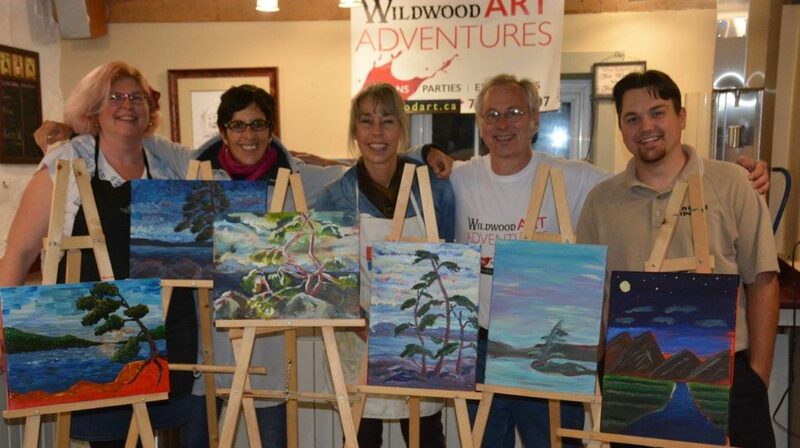 Wildwood Art Adventures delivers the foundation and basics for a successful pursuit of fine art. With over 25 years of classroom teaching and 40 years of art experience, Robert Pointer will guide you through the concepts and help you develop your skills to become the artist developing inside. Individual and small group instruction is now a available. Large class instruction coming Spring 2018. Where to stay in Grey County? Find Accommodations: Click on Stay in Grey. 25 years in the classroom and 40 years at the easel. A fun night with wine and pizza! All materials are included. Book a party, set your course, come for a fun afternoon or evening!